Massage Oasis is a Medical Massage Clinic that is very luxurious. It’s a Medical Massage clinic that is registered with every major insurance company. You have the choice to pay from your own pocket for treatments or just to pamper yourself. Or the other option (if you have it) is if you have benefits/ insurance with your employer, and you have your insurance plan cover your costs for medical massage treatments. We offer superior service for our clients. With prices comparable to other massage clinics & spas. Were for the average person, but with the best massage equipment, lotions and treatments that you’ll ever experience. With modern décor, style & layout that you’ll enjoy coming to your appointments, but you’ll also enjoy sitting in the waiting room. Where the waiting room feels like you’re at home sitting in your own living room. Being able to enjoy comfortable seating, watch T.V., read magazines, and enjoy a hot coffee or cold refreshing water. It is very important to be well hydrated on the day of your appointment. Massage Oasis is like no other clinic you’ve been to before. Even the online booking is enjoyable and fun. Where you can book a massage online at any time anywhere. All you need is an internet connection. To find more information about services we provide, pricing, booking an appointment, and information about massage’s/ Hot stone/ Reflexology. Massage Therapy is the manipulation of superficial and deeper layers of muscle and connective tissue using various techniques to alleviate pain caused by unbalanced muscle, muscular tension, sports related injuries and stress related issues. Also, it enhances range of motion, aids in the healing process, and promotes relaxation and well-being. Our massage therapist uses a variety of techniques including Orthopedic Massage, prenatal, Swedish, hot stone, myofascial release, relaxation, deep tissue technique and acupressure among others. As a modality, Orthopedic Massage Therapy is a total system of assessments, special orthopedic testing, multi-disciplinary and multimodality treatments along with precise client self care protocols that facilitate myoskeletal alignment and eliminate pain and injuries that affect your physical activities. Hot Stone Massage Therapy provides both a therapeutic and relaxing massage experience. The deep, moist heat is incorporated into light and deep massage techniques assisting the therapist to relieve and relax even the tightest muscles, increasing your circulation and lymph flow. The different shapes and sizes of the stones are used to better accommodate the application of heat in different body's areas. The stones are heated and cooled to adjust the temperature for different conditions and body parts. Reflexology is a natural healing art. It is an ancient form of therapeutic foot massage that induces a deep state of relaxation using gentle or deep pressure on the reflex points. It is a holistic non-invasive therapy that reverses the stress response and facilitates the body to rebalance, rest, and repair. This unique method of foot massage applies a variety of finger and thumb techniques on the specific zones on feet that improves circulation, boosts the immune system, aids in elimination of excess waste products and fluids, increases oxygen from the lungs to all tissues, and promotes the natural function of the body. Our Reflexologist is also a Massage Therapist registered with the College of Massage Therapists of Ontario. 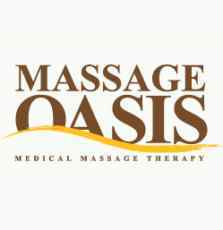 Online booking with Massage Oasis is enjoyable and fun. Where you can book a massage online at any time anywhere. All you need is an internet connection. You build a profile similar to Facebook. After your profile is completed and you have your sign-in username & password, you can actually see our clinic’s schedule online in real time. That way you can find an appointment time that works for you, click it, book it, and then you can pay online for it, thereby having your own appointment time at your discretion. So all you have to do is click “Book an Appointment,” follow the instructions. A very convenient online booking experience that compliments the great massage treatments that you’ll receive with our Registered Massage Therapists.